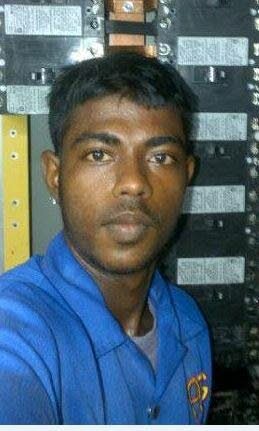 TWO teenagers yesterday appeared before a San Fernando Magistrate charged with the murder of 24-year-old Lutchman Ramcharan who was beaten to death near his Woodland home last week. In handcuffs, Dion Ramjit, 19, and a 17-year-old of Woodland were taken before a magistrate yesterday evening. The teens were arrested earlier this week after legal officer PC Kryn Lewis sought advice from the Director of Public Prosecutions (DPP). The charge read to the 17-year-old and Ramjit was that they murdered Ramcharan whose body was found in Woodland last week Sunday. Ramcharan of Jacksingh Trace, Woodland was found dead under a doubles shed. An autopsy showed death was caused by blunt force trauma to the head. The case was adjourned to next month. Reply to "Teens in court for murder"